Rs 55/iron , seat beads..
We sell a wide range of stringing materials including cotton cords for jewel making. They are available in different colors and sizes. 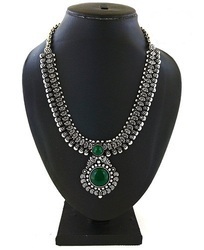 Having a definite quality management system, we are engaged in offering an optimum quality Heavy Gold Plated Necklace. Statement Jewelry made with cowrie shell. Shell jewelry is perfect to complete any bohemian outfit with beachy vibes. this is 20 tonch pure covered necklace.we can make in high tonch also. Our range of Necklaces has gained worldwide recognition for its beauty and texture. Designed and crafted by experts, these enchanting necklaces feature smooth curves, soft touch and poetic flow.